§ Individualize dosage; increase dosage gradually to avoid adverse effects; drug is available only in oral dosage forms. § Panic disorders: Initial dose 0.25 mg PO bid; gradually increase to a target dose of 1 mg/day. § Initially, 0.01–0.03 mg/kg/day PO; do not exceed 0.05 mg/kg/day PO, given in two or three doses. Increase dosage by not more than 0.25–0.5 mg every third day until a daily maintenance dose of 0.1–0.2 mg/kg has been reached, unless seizures are controlled by lower dosage or side effects preclude increases. Whenever possible, divide daily dose into three equal doses, or give largest dose at bedtime. § Clonazepam is an effective anticonvulsant. It raises the threshold for propagation of seizure activity and prevents generalization of focal or local activity. Clinically, it improves focal epilepsy and generalized seizures. It is also believed to enhance the activity of GABA, and acts as anxiolytic. § Drowsiness, fatigue, muscular hypotonia, coordination disturbances, dizziness, vertigo, anorexia, visual disturbances, libido changes. § Potentially Fatal: Salivary or bronchial hypersecretion leading to respiratory problems (children). May produce diminished reflexes or coma. Rarely, blood dyscrasias. § Hypersensitivity to benzodiazepines, acute pulmonary insufficiency, acute narrow angle glaucoma. CLINICAL ALERT! 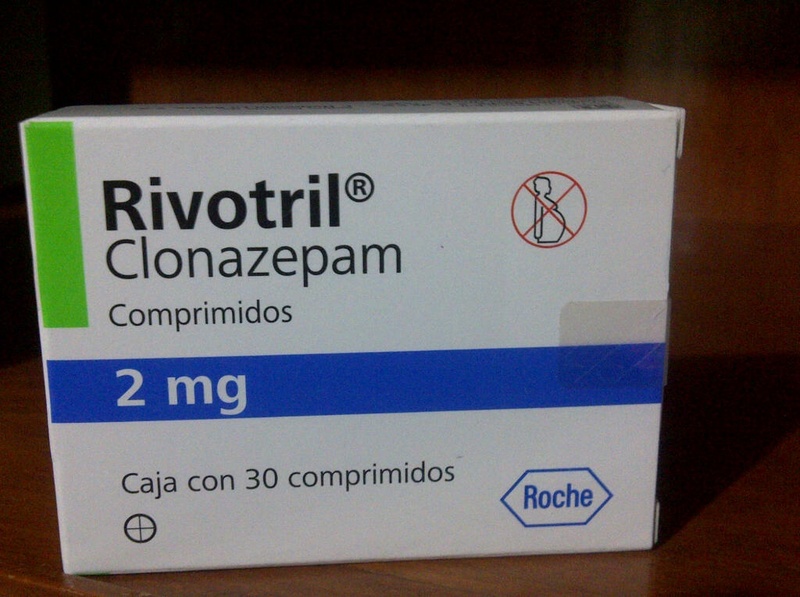 Name confusion has occurred between Klonopin (clonazepam) and clonidine; use caution. § History: Hypersensitivity to benzodiazepines; psychoses; acute narrow-angle glaucoma; shock; coma; acute alcoholic intoxication; pregnancy; lactation; liver or renal impairment, debilitation. § Physical: Skin color, lesions; T; orientation, reflexes, affect, ophthalmologic examination; P, BP; R, adventitious sounds; liver evaluation, abdominal examination, bowel sounds, normal output; CBC, LFTs, renal function tests. § Monitor addiction-prone patients carefully because of their predisposition to habituation and drug dependence. § WARNING: Taper dosage gradually after long-term therapy, especially in patients with epilepsy; substitute another antiepileptic. § Monitor patient for therapeutic drug levels: 20–80 ng/mL. § If the patient has epilepsy, arrange for patient to wear medical alert identification indicating patient has epilepsy and is receiving drug therapy. § Take drug exactly as prescribed; do not stop taking drug (long-term therapy) without consulting health care provider. § Avoid alcohol, sleep-inducing, or over-the-counter drugs. § Avoid pregnancy; serious adverse effects can occur. Using barrier contraceptives is advised while taking this drug. § It would be advisable to wear or carry a medical alert identification indicating your diagnosis and drug therapy. § You may experience these side effects: Drowsiness, dizziness (may become less pronounced; avoid driving or engaging in other dangerous activities); GI upset (take drug with food); fatigue; dreams; crying; nervousness; depression, emotional changes; bed-wetting, urinary incontinence. § Report severe dizziness, weakness, drowsiness that persists, rash or skin lesions, difficulty voiding, palpitations, swelling in the extremities.